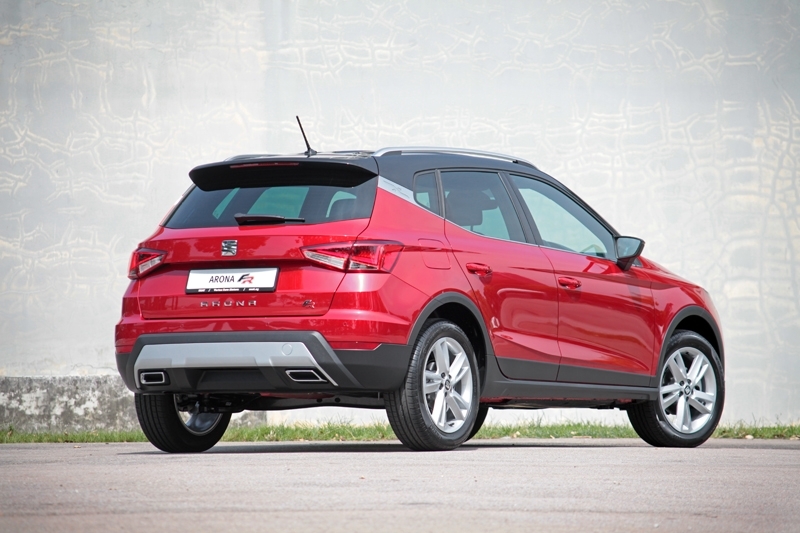 Can Seat’s competitor in this challenging segment draw the crowd? 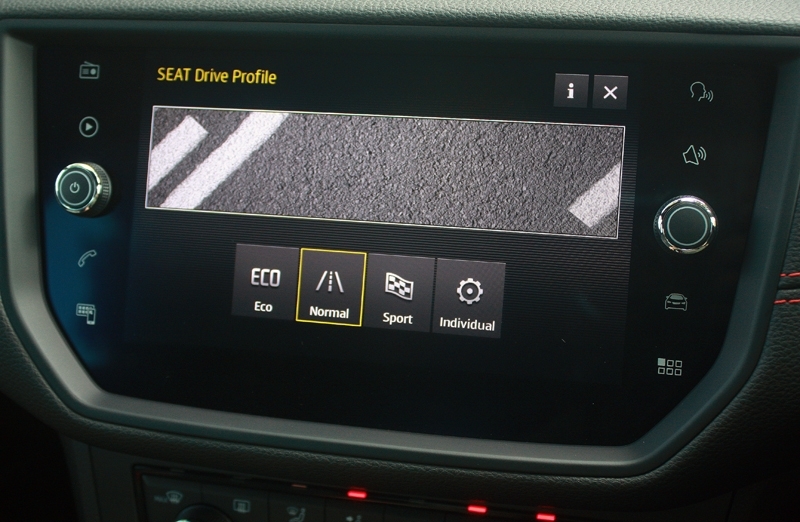 The Seat brand re-entered our market about two years ago and since then, the local dealer has been putting effort in trying to establish the brand. It’s not an easy task as Singaporean buyers are a demanding lot, and on average would stick to brands they’re familiar and comfortable with. If you belong to such a group, then I would suggest you stop reading this; so long now, and goodbye. But if you’re open enough to see what this Spanish brand under the Volkswagen group could offer, well, read on. 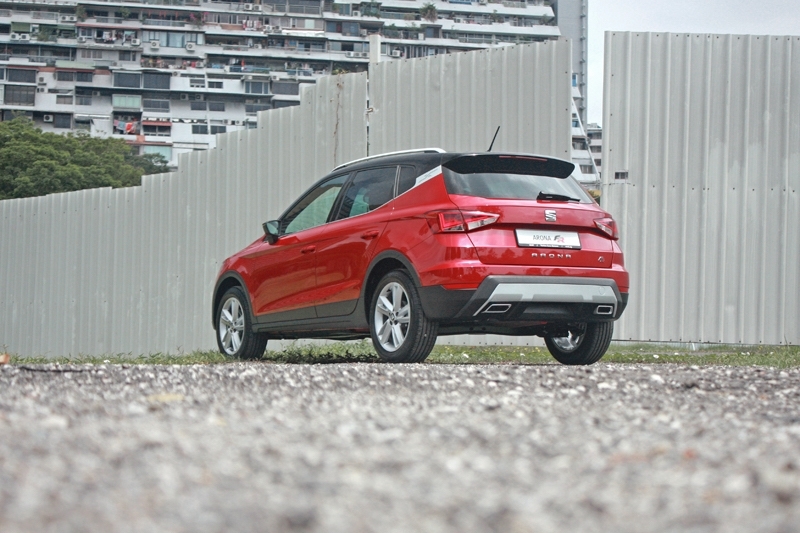 This is the Seat Arona, a compact SUV that was introduced here just a few months ago. Like the Ibiza compact hatch we reviewed earlier, the Arona is also built on Volkswagen’s MQB-A0 platform; so yes, it’s technically a VW with a Spanish shell. Undeniably, it’s an attractive looking shell. While the Toyota C-HR - one of its closest competitor - gets a wild exterior, the Arona looks sleeker and more ‘organised’. It gets plastic addenda on both front and rear bumpers and also wheel arches, skid plates (again) on both front and rear bumpers, and then topped off with a pair of roof rails; all these giving the car a rather macho vibe. Oh, a nice touch is the pair of exhaust pipes; sporty, indeed. 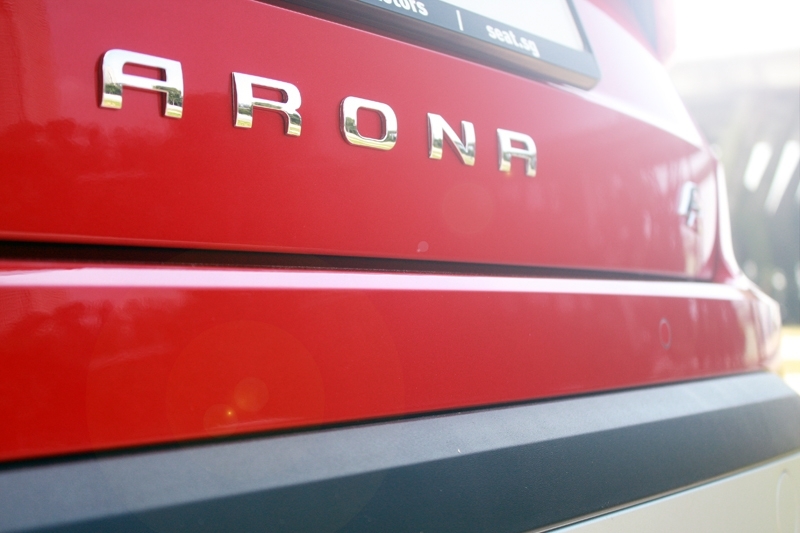 The Arona displays typical German build quality - this point emphasized further with control buttons that are tight and well put together. The driving position is spot on, thanks largely to the clear display. 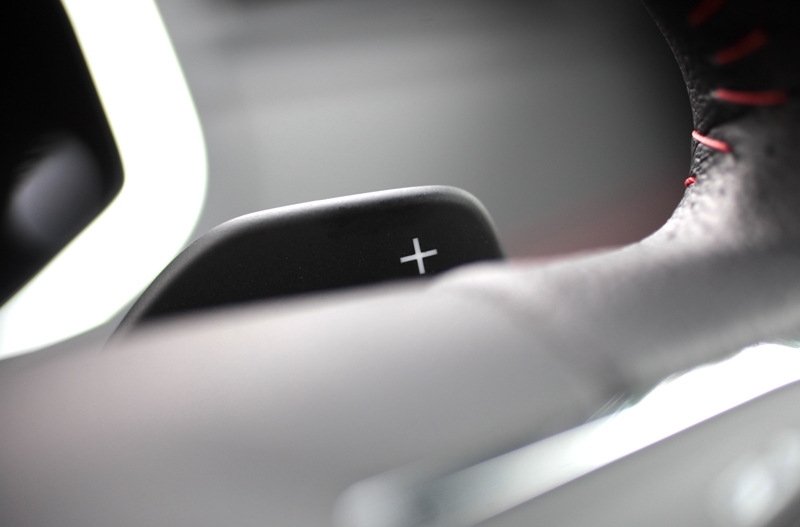 Its steering wheel is lovely - perfectly sized, nicely shaped and offers buttons for the audio and Bluetooth system. 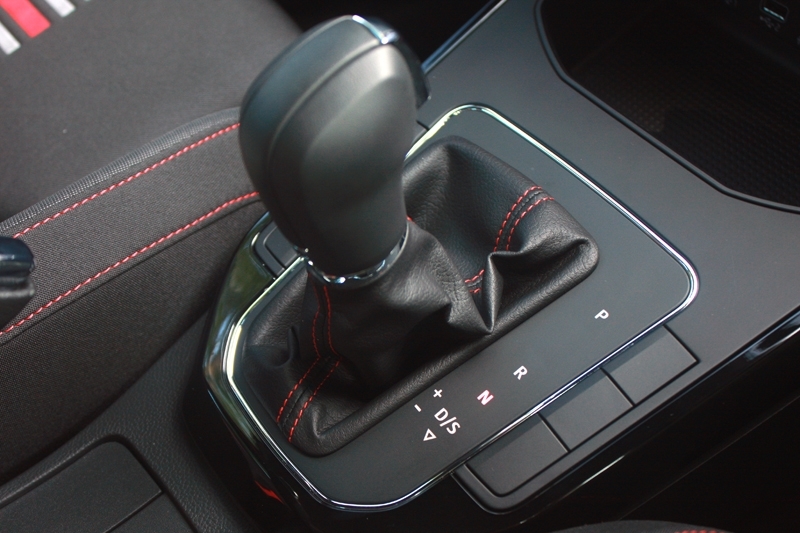 A nice surprise here is the pair of paddle-shifter; this makes shifting gears up or down, manually, more convenient. 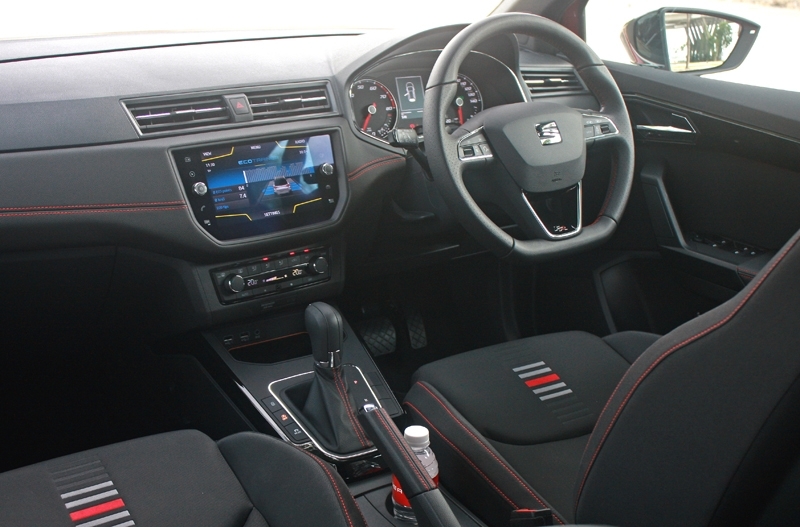 This being the range-topping FR variant, you get red stitches on the dashboard, steering wheel, front seats, handbrake lever and gear shifter; definitely a nice touch considering it matches the car’s Desire Red exterior colour code. 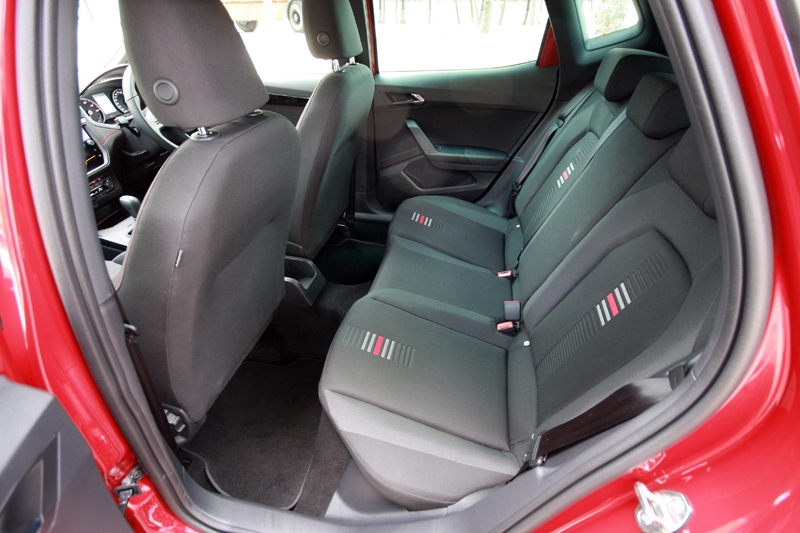 Rear occupants will definitely appreciate how airy the Arona is, thanks largely – pun intended – to the wide windows and additional glass room on the C-pillars. Legroom on offer is decent while headroom is class leading, even if you are slightly taller than average. 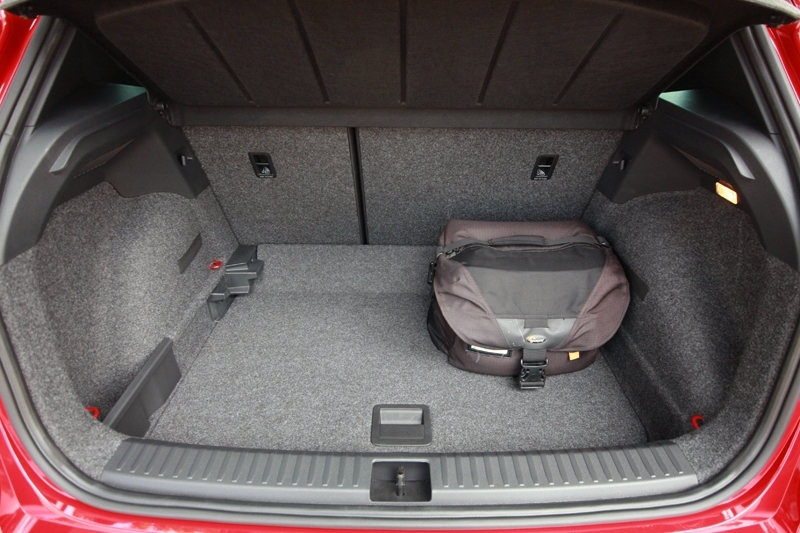 Boot capacity on offer is a useful 400-litres and this expands to 823-litres when you bring the rear seat’s backrest down. If you’ve just started a family, we reckon a small stroller could easily fit in. Powering the Arona is the VW group’s turbocharged 3-cylinder, 1.0-litre powerplant that’s paired to a 7-speed DSG; this is the same combination seen in the Audi A3 and Q2, Skoda Octavia and Rapid Spaceback, Volkswagen Golf and not forgetting the Seat Ibiza as well. 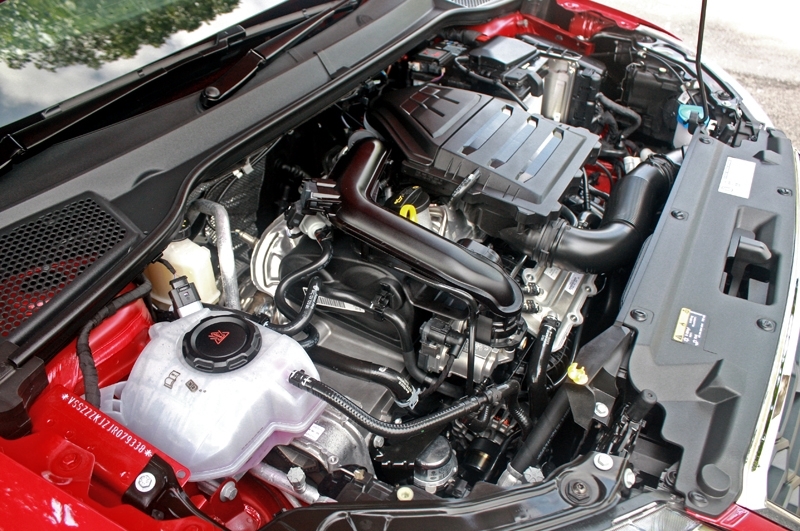 Maximum power output is 115 bhp, with torque 200 Nm. A front wheel drive, it requires 10 seconds to reach 100 km/h from standstill. And for the curious, the Arona weighs in at just slightly above 1.2-tonnes. 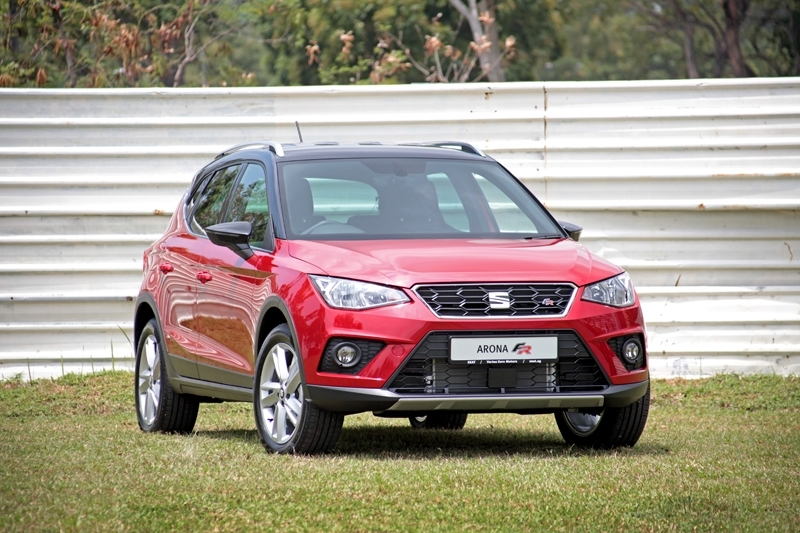 With weight at its advantage, the Arona felt peppy and quick when it comes to closing gap in heavy traffic. 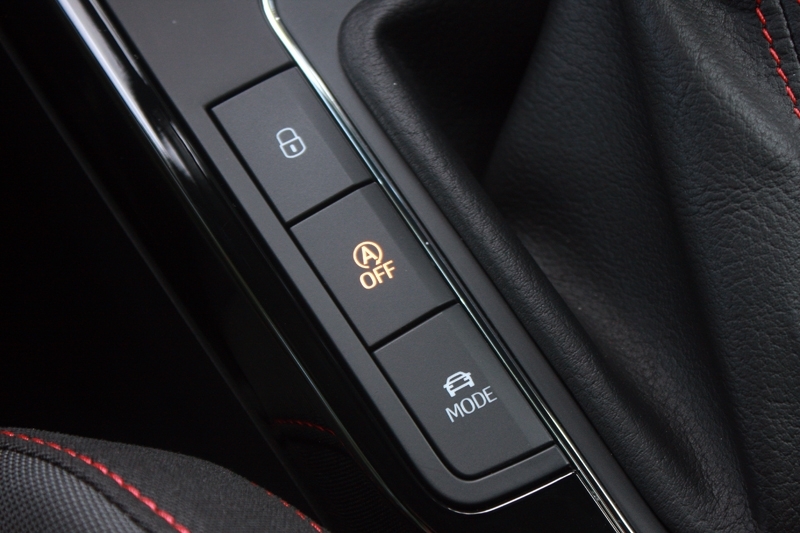 The turbo lag is well masked when you’re trying to outrun the next car at a junction; and because there’s the paddle-shifters, you can choose to hold on to the first two gears longer and enjoy small victory at the next traffic light grand prix. With one missing cylinder, you do feel the limitation though; despite feeling lively initially, it goes flat when it head towards the 5,000 rpm mark. 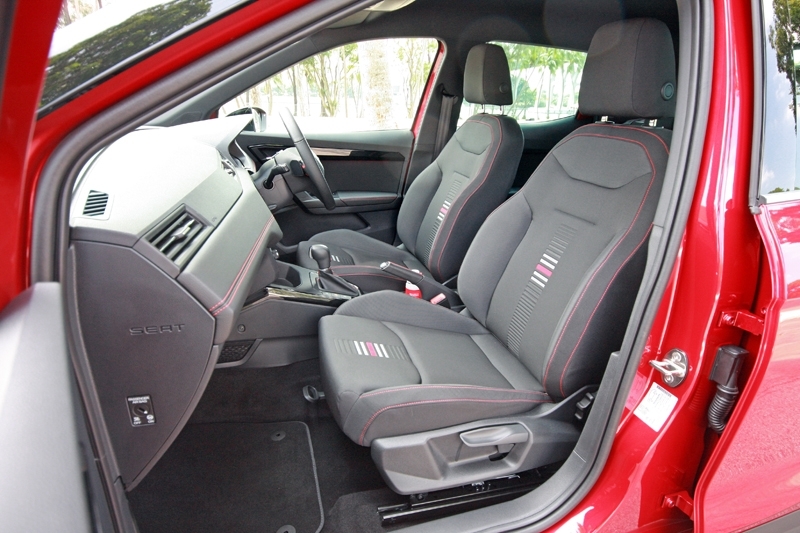 Out on the expressway, the Arona impresses with a cabin that’s well insulated against any unwanted noises. But like other cars at this price point, both wind and tyre noises only start creeping in at three-figure speeds. The suspension is sorted and brilliantly set, providing a good comfort/sports balance; in this aspect, it reminded yours truly of the Golf. 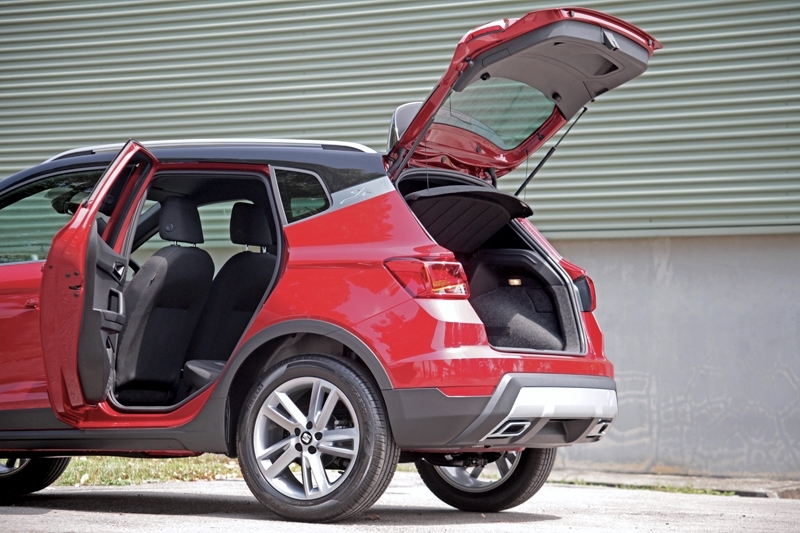 This is definitely interesting, in a good way, for a compact crossover. For the driver, the responsive steering is a delight; you can surely go a little aggressive along corners – when you’re all alone, that is – with more confidence. 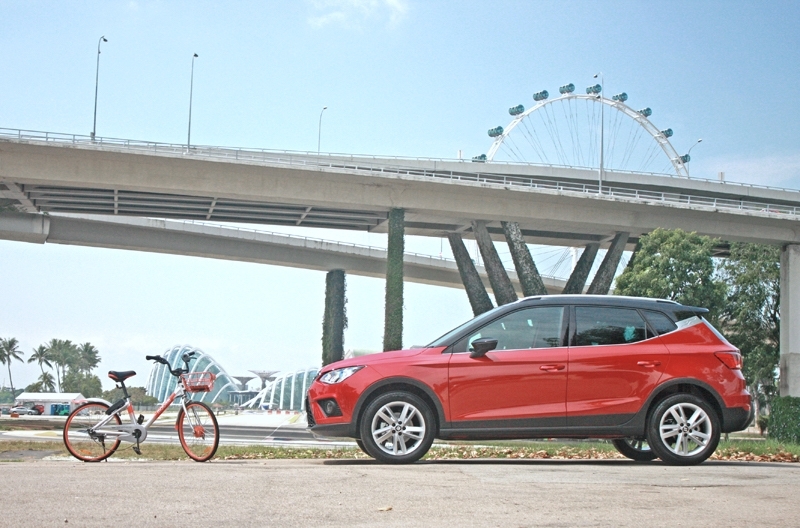 At just slightly above S$100k (with COE), the Arona FR should appeal to individuals who want a European crossover for its style and brilliant driving experience, or small families who want an attractively-fashioned and also practical small car that’s easy to drive and manage. Best of all, it comes with an extensive equipment list.